With falls arrival comes a number of favorites. Pumpkin spice. Apple pie. Hot cocoa. Chili. 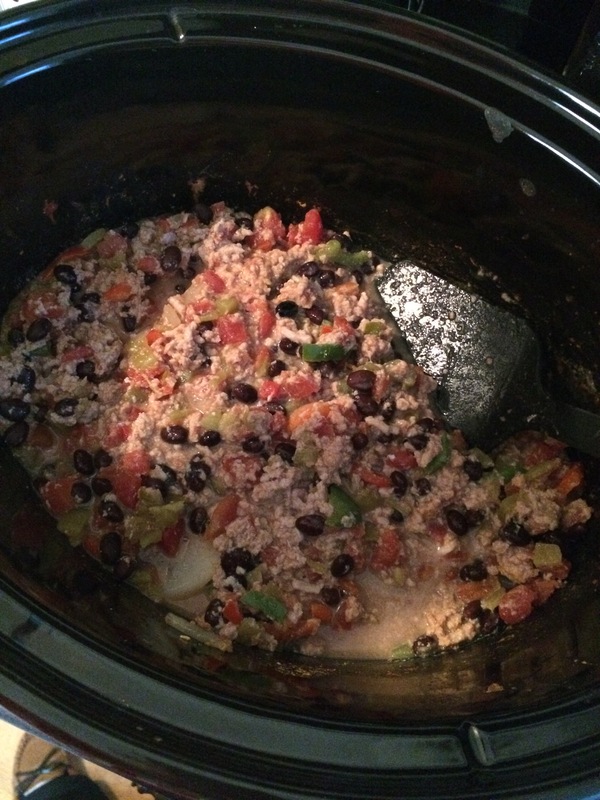 My crockpot is my best friend in the cold months because I can make enough meals for a week while I’m at work. I’ve played with many versions of chili. Some with more beans, some with more veggies over all. This one I think has a balance of meat to veggies. It’s got a kick to it and is great with rice. 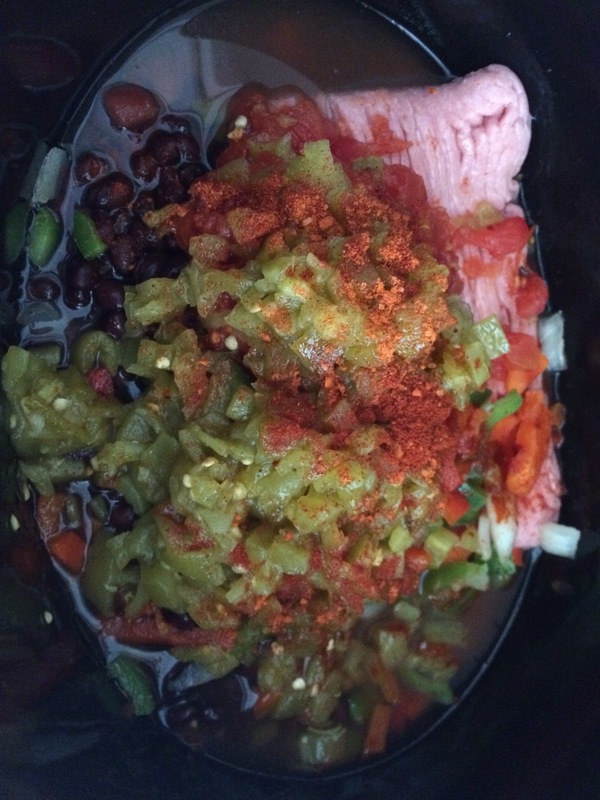 In true crockpot fashion, I dump all the ingredients in this order in the crockpot. I set it on high for 4 hours. I wait about 10 minutes before breaking up the ground turkey. As the chili starts to cook I sporadically stir it to make sure the spices are evenly distributed. Nothing is worse than having a strong bite of chipotle powder. A serving is 375g of chili ( I use a food scale) and each serving has 269 calories. Broken down further 7.4f | 23.8c | 30.1p with 6g of fiber. It’s a solid dinner or lunch and my favorite is to put guacamole and shredded cheddar on top for a little more fat and protein. 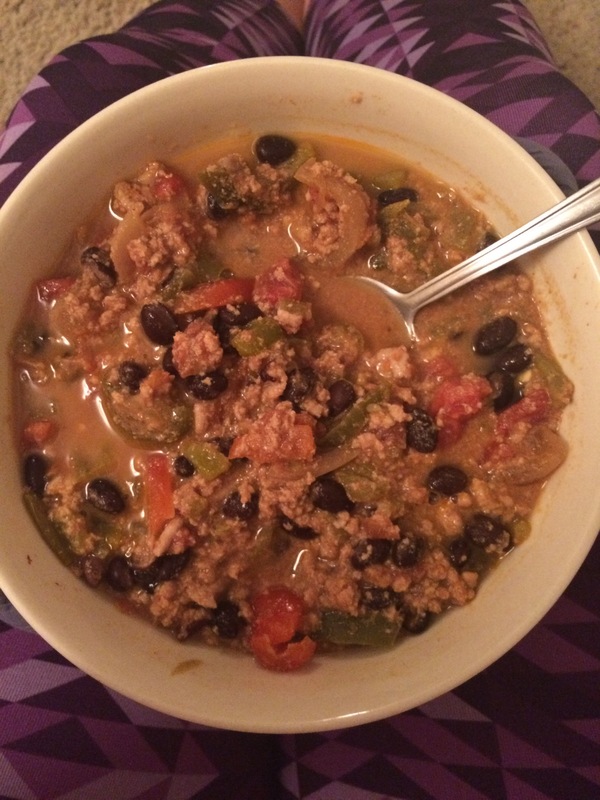 Do you have a chili recipe you like to make or do you find yourself experimenting?